No doubt the biggest news in Hudson Valley music this month is the announcement of two competing festivals to honor the 50th anniversary of the original Woodstock Festival: One dubbed the Bethel Woods Music and Culture Festival and at presented by Live Nation at the Bethel Woods Center for the Arts in Sullivan County, the actual site of the namesake event, and the other, named Woodstock 50, at Watkins Glen in Schuyler County and organized by local resident Michael Lang, the chief promoter of the original 1969 festival. Both 2019 festivals are scheduled for the same weekend: August 16, 17, and 18. 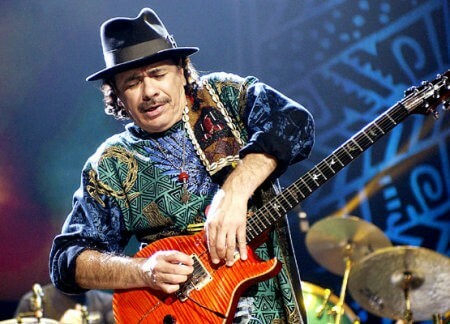 The full lineups for the rival fests are yet to be announced, but yesterday news broke that Carlos Santana, who famously performed at the landmark 1969 happening with his band Santana and had said he’d perform at Lang’s 2019 event, has chosen to be among the headliners at the Bethel Woods weekend. Woodstock 50 will take place on the site of the Summer Jam at Watkins Glen, a 1973 concert that featured the Band, the Allman Brothers Band, and the Grateful Dead and drew 600,000 people, eclipsing Woodstock’s 400,000. Lang’s festival will focus on attracting a multigenerational audience with his bookings, which will include current pop and rap acts as well as legacy artists, with some possible collaborations and musical tributes to the 1969 performers who since passed away. Social activism will also be a core theme. For updates and more information about the Bethel Woods Music and Culture Festival, visit https://www.bethelwoodscenter.org/. For updates and more information about Woodstock 50, visit https://www.woodstock.com/.